Very Good 36mm case that has previously been polished and has light wear from use. Has Universal Geneve calibre 481 movement. Brown Shell Cordovan leather strap. 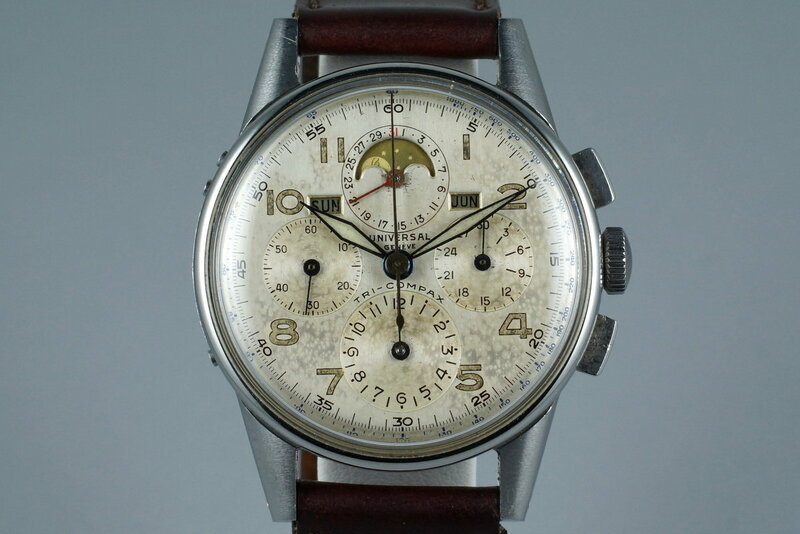 No accessories are included in the purchase price of this antique Universal Geneve wrist watch.